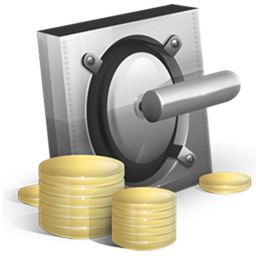 Credit system is available for all registered customers to manage their account quickly and flexibly manage. 1. It is clear records management and comfortable system that will constantly show the status of your credits on the screen. 2. After logging in, you can charge your account by credit card, bank transfer or in cash at our office. How often do you charge it means to you. 3. To pay for the order you will see after logging status of your credits on the screen. You can pay any order by your credits. If youd do not have enough credits, you can charge at any time. The whole operation will not take longer than a few minutes. 4. All your payments for unavailable titles will be added to the credits. These credits you can use for paying for other orders. 5. Credits can be used anytime. They are not time limited. Save time by not having to constantly use a credit card or log on to internet banking, or carry money with you. Save money with cheaper postage for each shipment - no cash on delivery fee. Credits can not be exchanged for cash. If you have any questions or suggestions, we would be very happy if you contact our team via email info@filmarena.cz or telephone number +420 775 590 770.